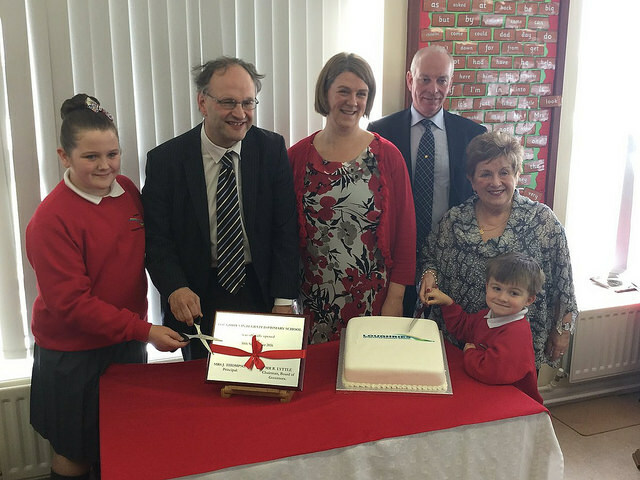 NI Education Minister Peter Weir MLA has attended the official opening of Loughries Integrated Primary school in Newtownards. The school opened as an integrated school on 1 September 2016 and is the first in the Newtownards area to go through the transformation process. Continuing the Minister acknowledged the role of integrated and shared education to the development of a more tolerant and shared society in Northern Ireland. During his visit to area the Minister also visited Glastry High School and met with staff and pupils of the school.